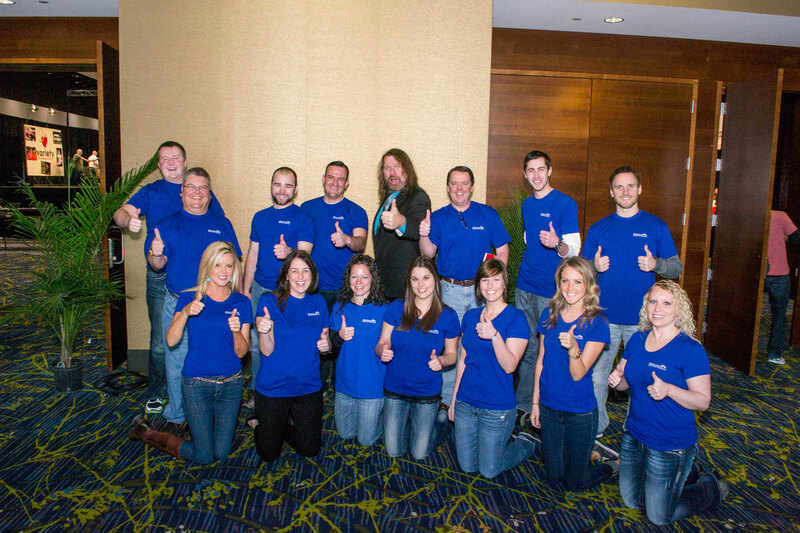 Sixteen Merchants associates and family members volunteered for the corporate phone panels portion of the Variety Telethon on Sunday. 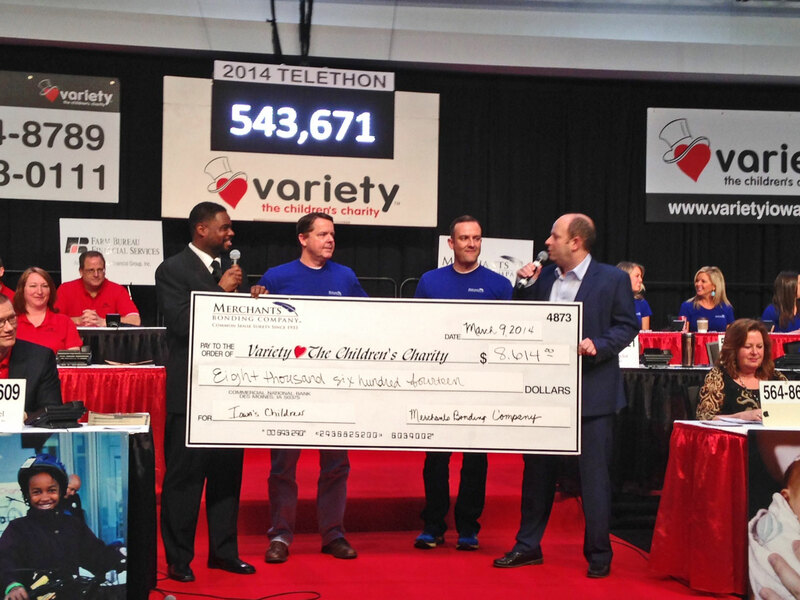 The panel was on-air from 10-11 a.m. and raised $8,614 for Variety – the Children’s Charity of Iowa this year. Those participating in the Variety Telethon for Merchants this year were President LarryTaylor, Secretary Bill Warner, Jr., Contract Underwriter Chris Seiberling (Community Outreach Council Chair) and his wife, Katie, Claims Examiner Amanda Brunkhorst and her daughter, Morgan DeBolt, and Morgan's boyfriend, Travis Temple, Claims Intern Nick Hodne, Accounts Receivable Specialist Kristen Stauffer, Contract Underwriter James Tortelli, Contract Underwriter Brien Spoden, Contract Underwriter Assistant Lisa Lawson, Graphic Designer Cory McElree and his wife, Yolanda, Marketing Production Associate Shelby Boyd and Marketing Assistant Erin Fosselman. Variety – The Children’s Charity of Iowa was founded in 1937. Since 1975, the organization has raised more than $95 million to provide funding for capital projects, essential medical equipment and special programs to more than 300 children’s organizations throughout Iowa.